marktwainlib is a Legacy Library. Legacy libraries are the personal libraries of famous readers, entered by LibraryThing members from the Legacy Libraries group. » Mark Twain (Samuel L. Clemens)'s catalog. » Mark Twain (Samuel L. Clemens)'s legacy profile. 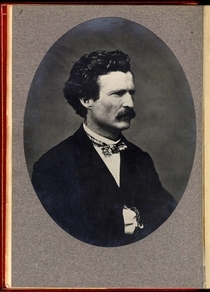 marktwainlib is also an author. » See Mark Twain's author page. About me1835-1910. Writer of fiction and essays, lecturer, traveler, and steamboat pilot. About my librarySLC mentioned his reading in letters and wrote marginal comments in some books he owned. This library is compiled from those indications.